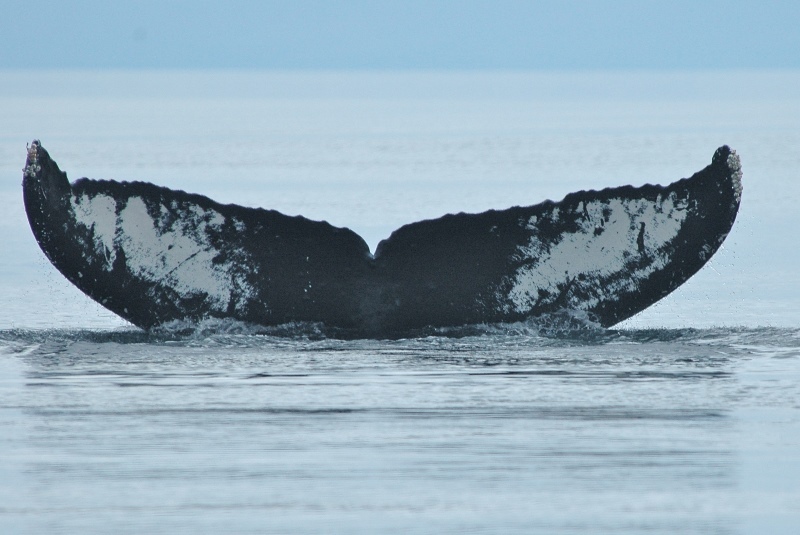 Eye of the Whale Research, co-founded by Olga vonZiegaser and Beth Goodwin, and joined by Co-Director Shelley Gill has been conducting research in Prince William Sound, Alaska on a somewhat unique and remote population of humpback whales since 1980. The research has focused on Photo-ID, population estimate, site fidelity, individual association, feeding behavior, short and long term oil spill affects and more. 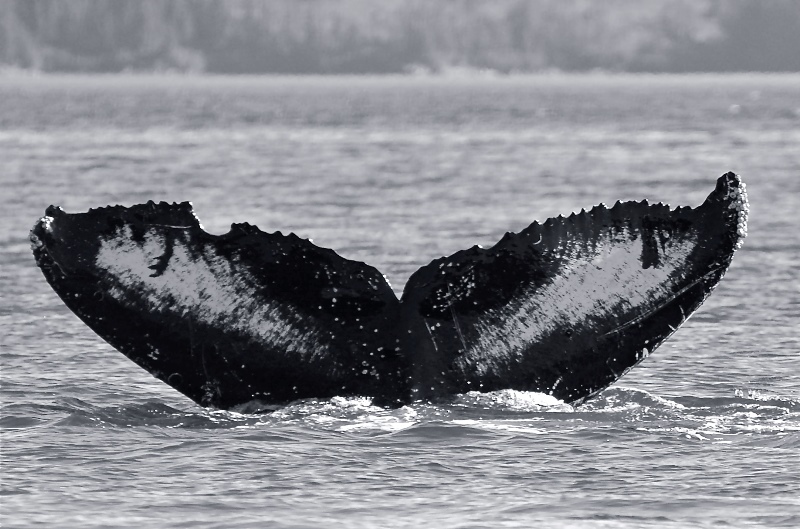 We have 51+ matches to Hawaii out of 405 whales identified in PWS. One of the more interesting findings after 30+ years has been some long term associations between a few individuals. 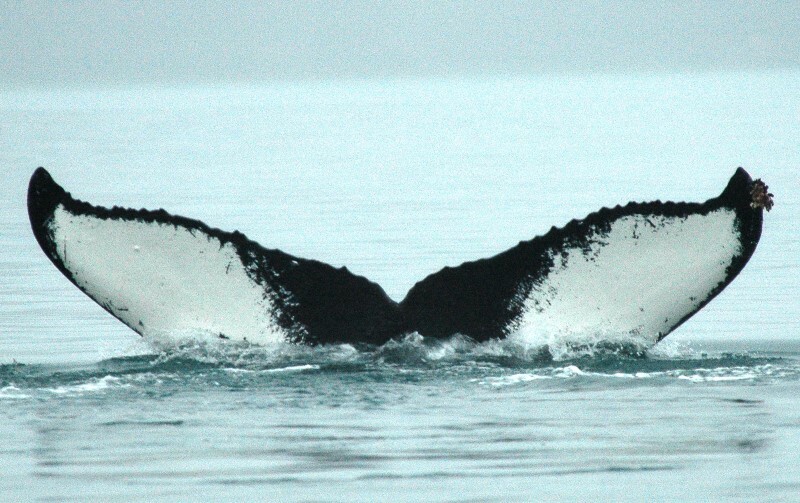 Long term associations between humpback whales are not a common occurrence and are mostly seen in the feeding grounds; it is not well known in the breeding grounds. Furthermore, associations by the same individuals in both feeding and breeding grounds have, to our knowledge, never been documented. 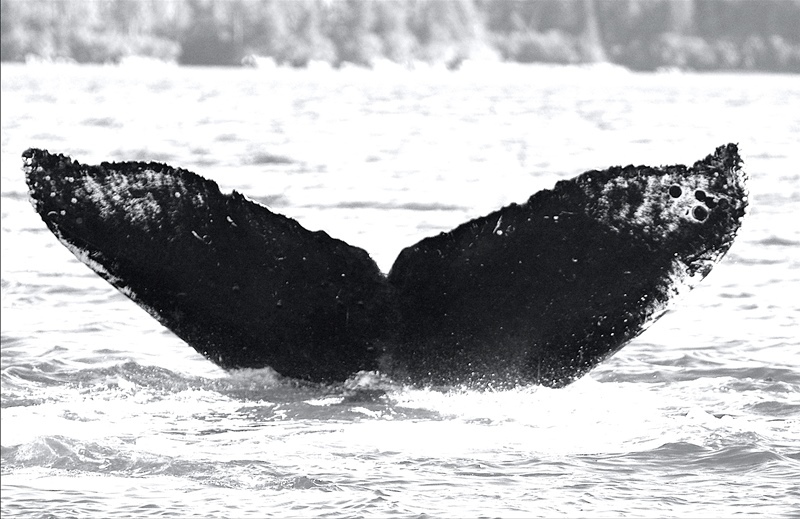 Posted are 7 of our long term whales as MOST WANTED outside of PWS. They tend to associate in two different clans that appear to have strong bonds. 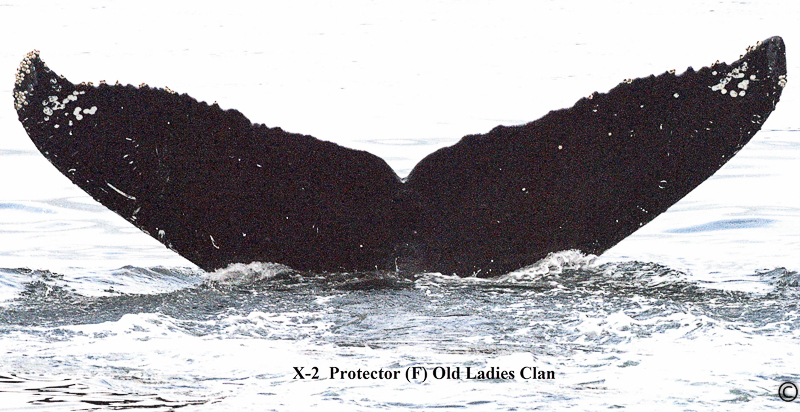 One we call the Old Ladies clan because there are three older females (Whitey, Gwenivere and Oreo) we have seen since 1980 that seem to be important to the structure and health of the community; this clan also has a male in it Equipple. 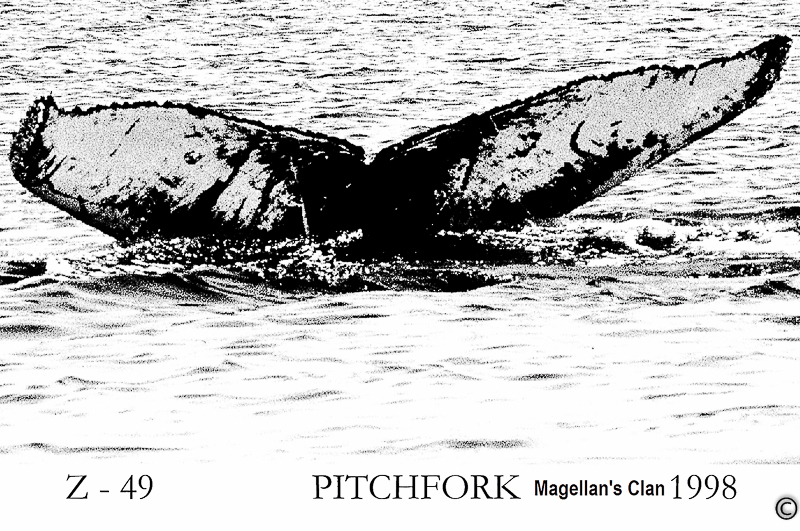 The other clan is called Magellan, named after a male that tends to have a group of whales around him specifically two females, Gullivera and Stellar. Magellan has been in waters off Baja during the winter months. Our hope is that not only can they be identified outside of their feeding grounds, but in their same clans either during migration or in their breeding grounds. 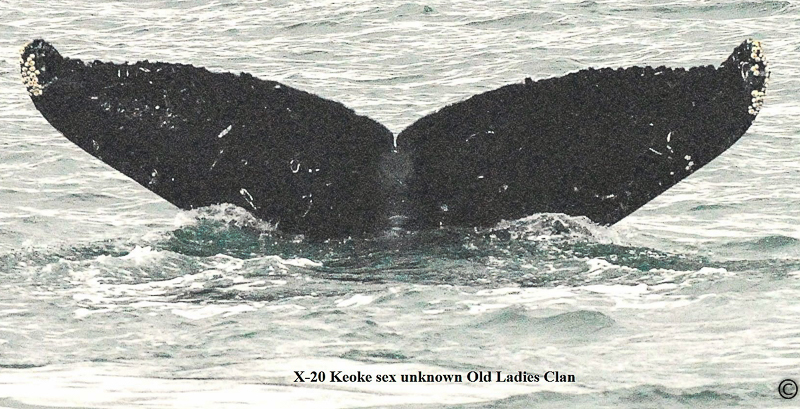 Please contact flukes@jupiterfoundation.org if you have ID’s of any of these whales. WHITEY (Z2) is one of the first whales we found in 1980 as we began our study of the humpback whales of Prince William Sound (PWS), Alaska. She had a small calf along side that we named popcorn because it jumped out of the water a lot! Whitey is one of the old Matriarchs now. We call her one of the “Old Ladies”. 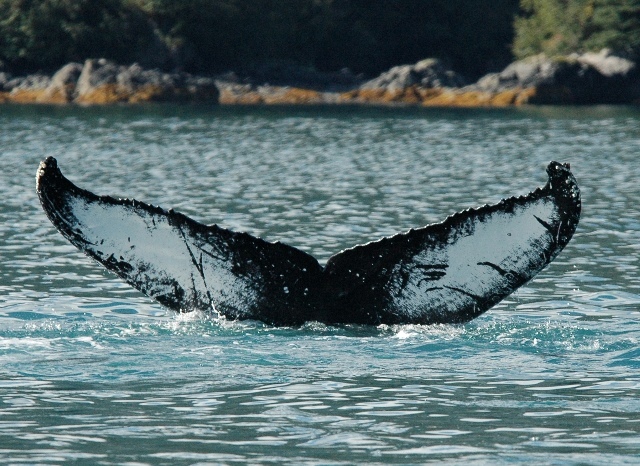 Whitey has a huge curved dorsal fin and a very white tail. She had her last calf in 2001. 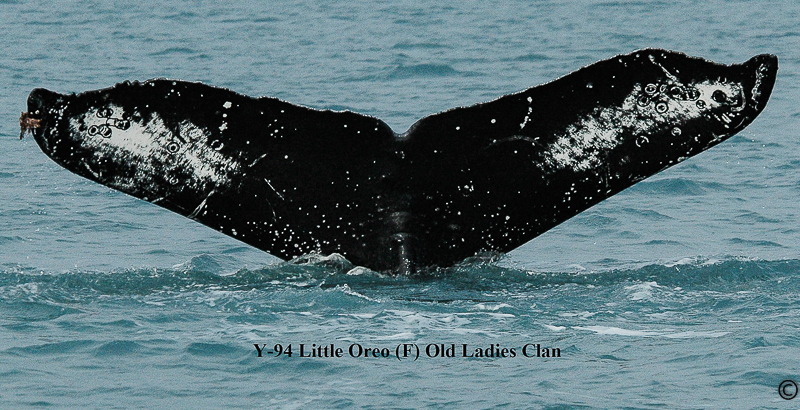 GWENIVERE (Y5) had her last calf in 1985, we suspect she is one of the oldest matriarchs of our PWS community. Her tail is drooping at the tips from old age and she is often seen swimming with Whitey. OREO (X7) had her first calf in 1988. 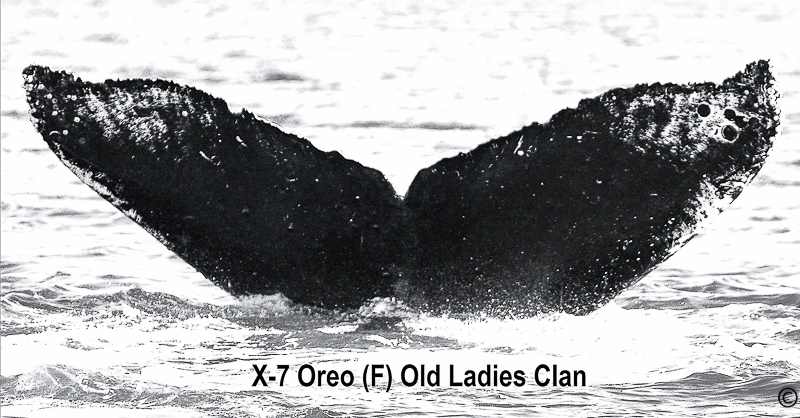 She was the very first whale we ever photographed, originally called “First Encounter”, it wasn’t until months later when our black and white film was developed that we noticed she has 5 spots on the right tip of her tail the size of Oreo cookies and thus she was re named. 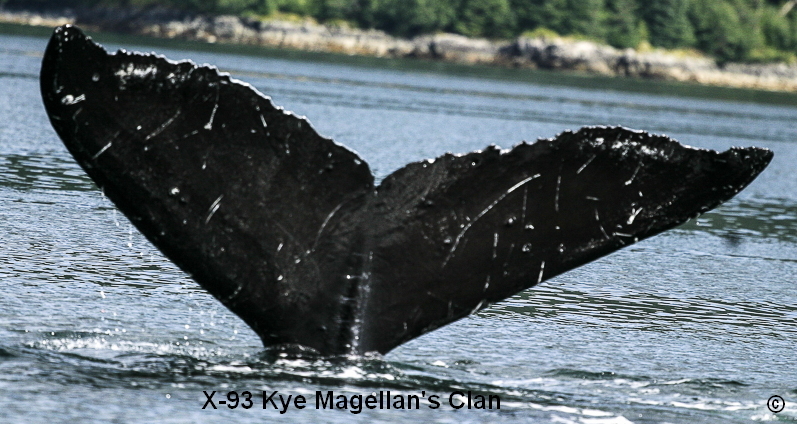 At first we thought she was a male because we saw her all over the place with many different whales and very rascally around kayakers and boats. But finally she showed up with a little calf alongside. 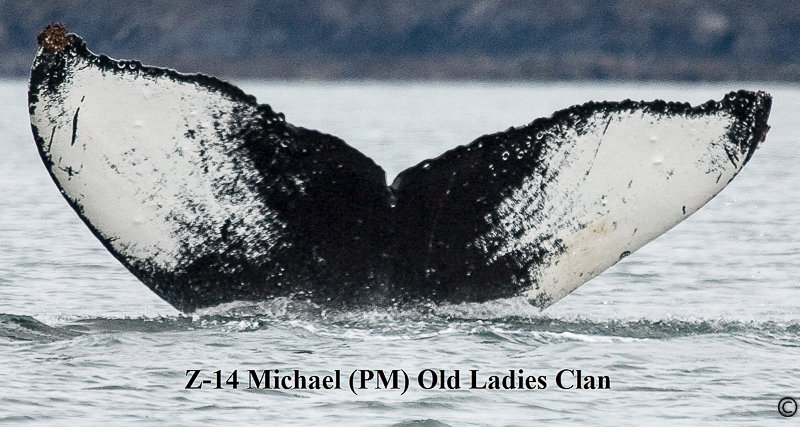 Since then she has brought many calves to the Sound and has settled in with the Old Ladies group. 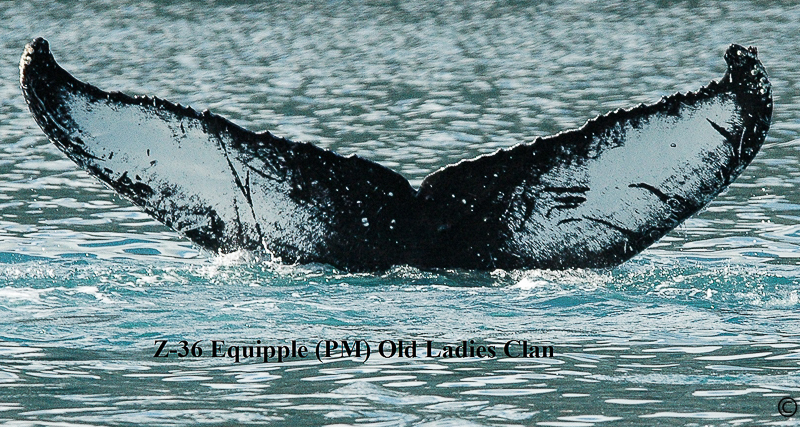 She is a big whale but still has many childbearing years ahead. 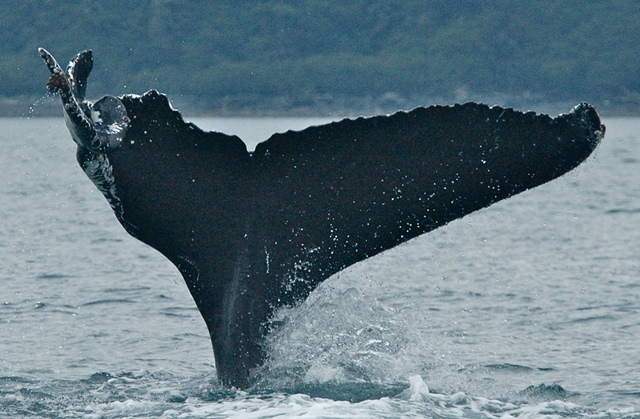 Humpback whales may have a calf every two or three years. We are always excited when we see her back with a calf. 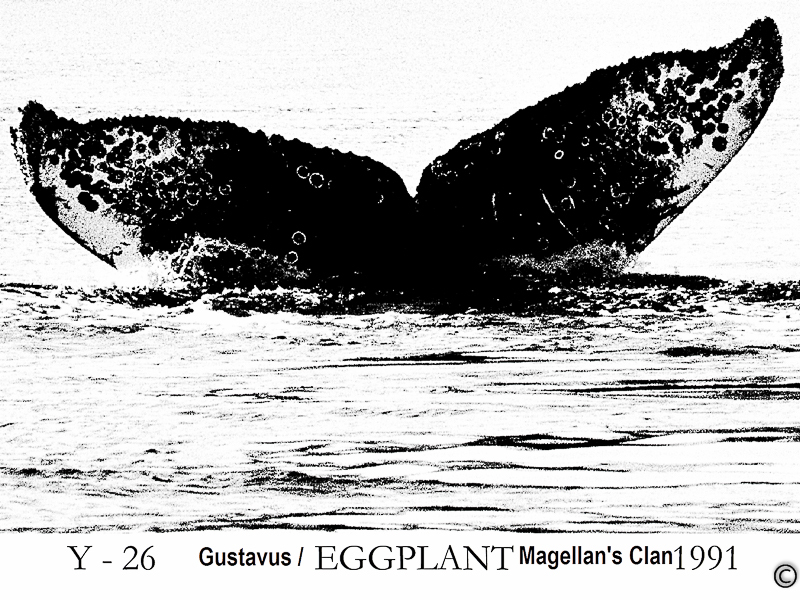 EQUIPPLE (Z36) is suspected to be a male or unfertile female of the Old Ladies group, as Equipple has never been seen with a calf. Equipple has a white tail with a lot of scratches including three little lines on top of each other like an equal sign, thus he was named “Equipple”. Equipple is often seen swimming with Whitey and Gwenivere. There is companionship and strength in their long-term bond. 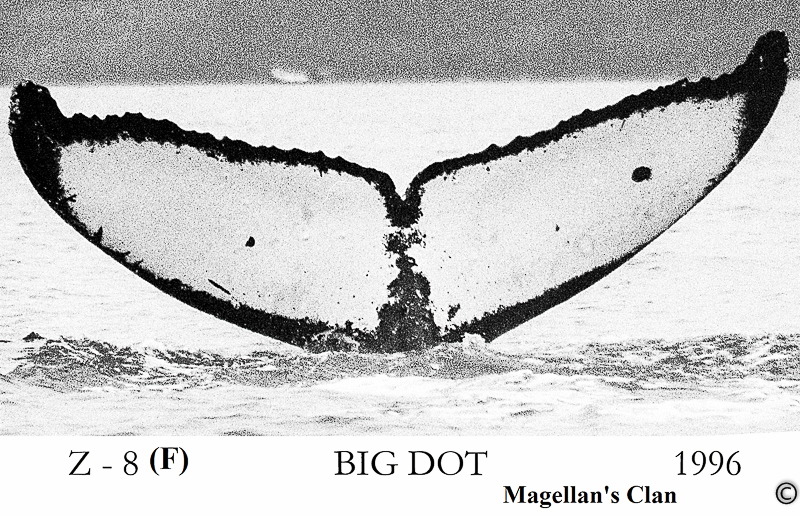 MAGELLAN (Y10) is a known biopsy male. He has a mottled tail but two white spots on the right side stand out. 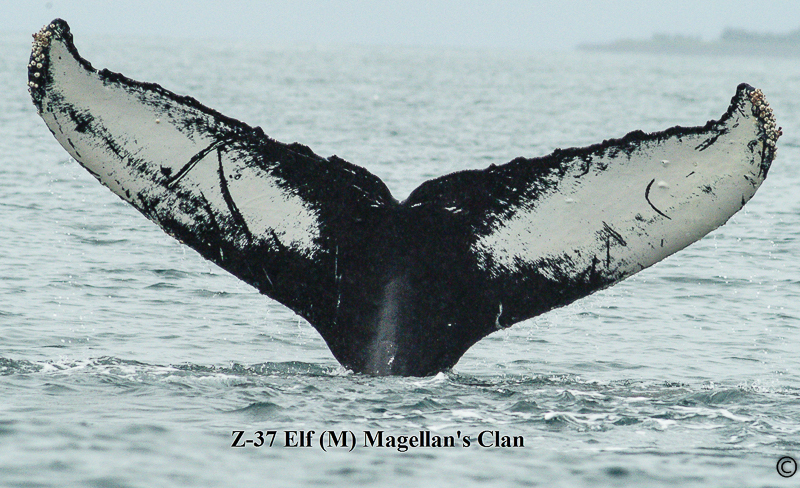 He is usually out in the ocean entrance in association with a group we named after him, “Magellan’s clan”. 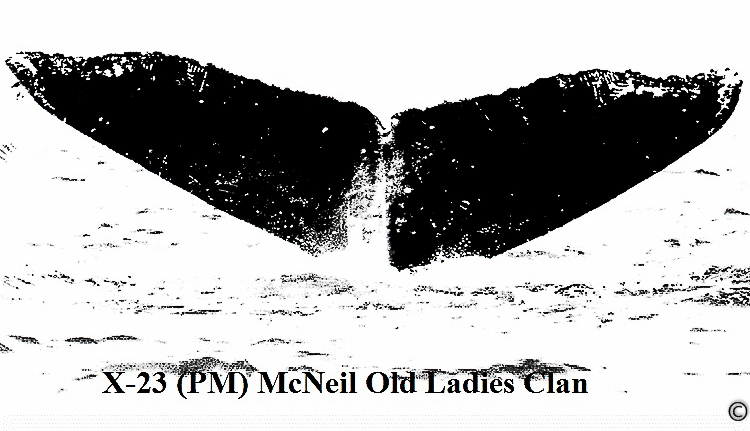 This group seems to be centered around him with less strong female bonds as seen in the Old Ladies group. 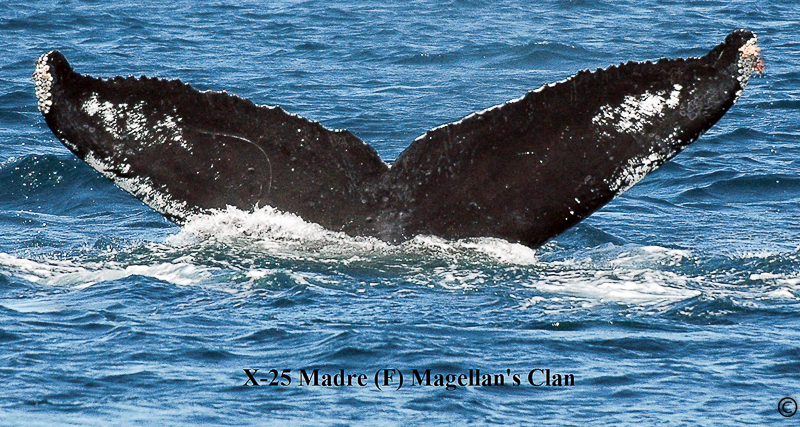 Magellan was also seen in the waters off of Baja a few times during winter months. He is an active breeding male and is very often seen with Gullivera and Stellar. They are together so often in the summer that we wonder if they ever migrate together. 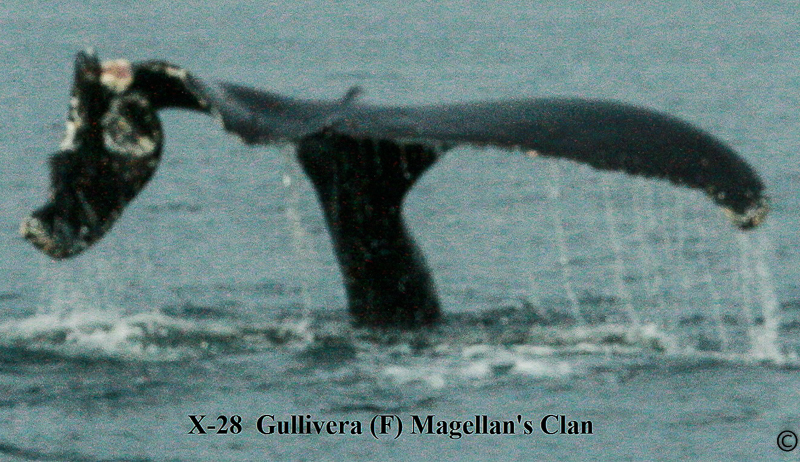 GULLIVERA (X28) has a very deformed tail. We thought she was unable to migrate and possibly barren due to her damaged tail until, to our delight, she showed up with a calf in 2002. 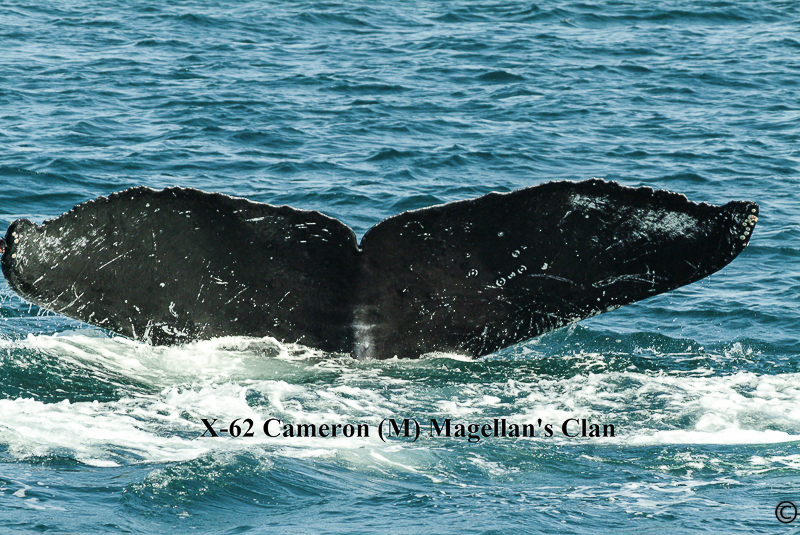 Our first sighting of her was in 1980 so she would have been at least 25+/- years old in 2002. In the Northern Hemisphere, sexual maturity has been estimated at 5-11 years of age and appears to vary both within and among populations (Clapham, 1992; Gabriele et al., 2007b; Robbins, 2007). She appears to be a very protective mother and has been seen “playing” in kelp to classical music! 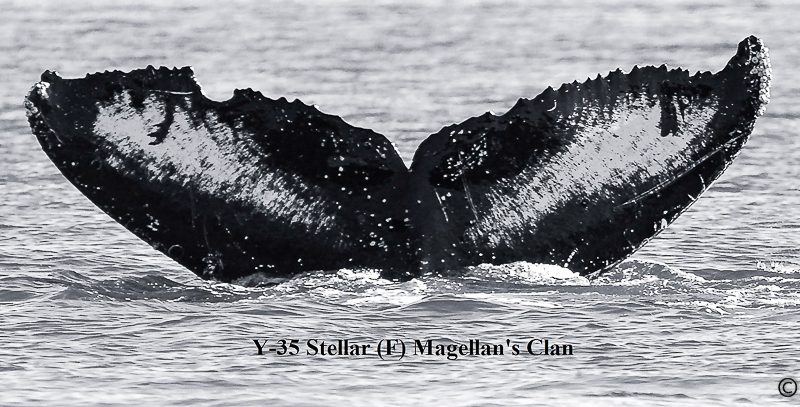 STELLAR (Y35) is a female also in Magellan’s clan. She has a very distinct notch in her tail. We see her “playing” with her claves for long periods of time. 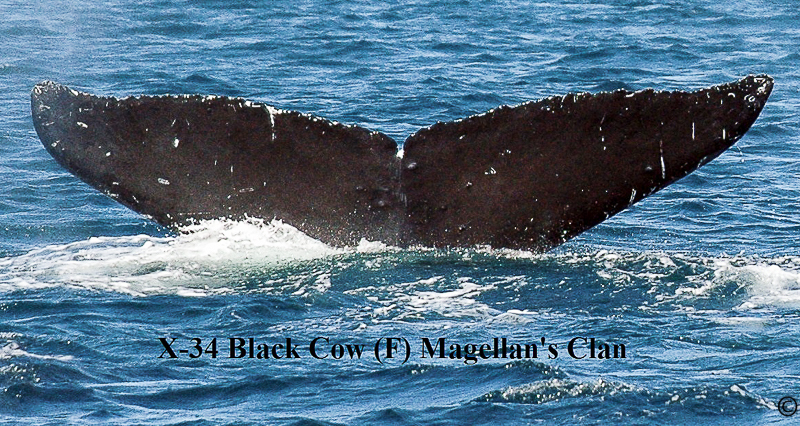 She is often with Magellan when she does not have a calf along side.